Cells and Tissues: An Introduction to Histology and Cell Biology begins by explaining why histology should be studied. 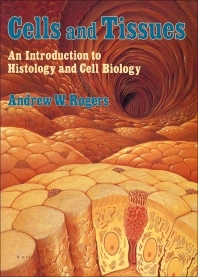 Some chapters follow on the techniques for studying cells and tissues, the anatomy of the cell, the epithelia, the connective tissues, and the blood. This book also covers topics on the immunity against foreign material; contractility, specifically at how it is brought about and at how the system changes in a stationary cell; and harnessing of contraction to produce movement. This text also looks into the communication systems within cells, the life and death of cells, and the histological sections of small intestine. The responses of the body to injury in the processes of inflammation and repair are also explored. This book will be useful to students starting in histology, though it does assume some elementary knowledge of biochemistry and of the structure of the mammalian body. Chapter 1 Why Study Histology? What Other Components Accompany Muscle in the Wall of the Tube? Chapter 16 What Have We Achieved?